Offen­burg, Kip­pen­heim, Emmendin­gen, Breisach, Sulzburg and Haslach har­bour memo­ri­als which have emerged from civic and com­mu­nal com­mit­ment and which in the scope of a museum and in an edu­ca­tional way, are a con­fronta­tion with Jew­ish life at the South­ern Upper Rhine and the Nazi dic­ta­tor­ship crimes. If you want to know more about the memorial sites, their educational programmes and activities then click >>here. 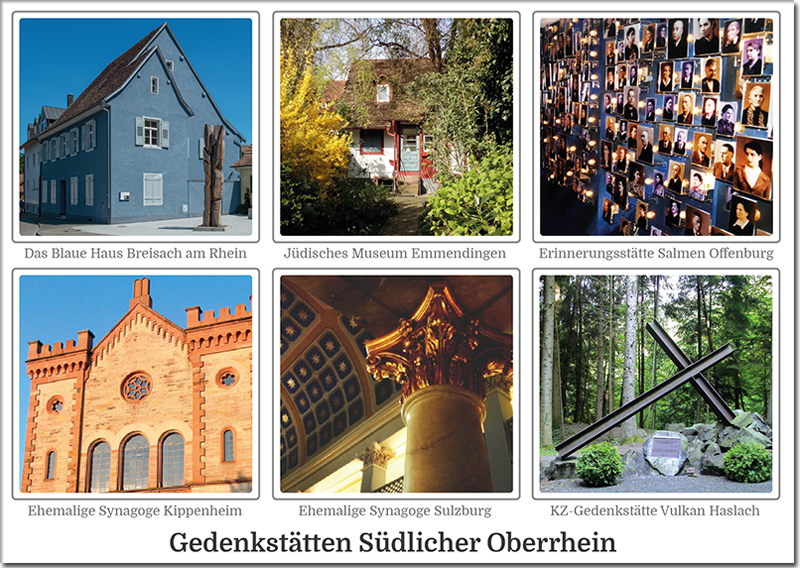 Offenburg, Kippenheim, Emmendingen, Breisach, Sulzburg and Haslach harbour memorials which have emerged from civic and communal commitment and which in the scope of a museum and in an educational way, are a confrontation with Jewish life at the Southern Upper Rhine and the Nazi dictatorship crimes.